Combine the cream cheese and whipped cream in a mixer. Place in the refrigerator to keep cool while you prepare the toast. Cut the bread into slices approximately 1 inch wide and set aside. Beat the eggs. Add the milk and vanilla, and continue beating. Heat up a large pan and add 2 tablespoons of butter. Dip each one of the slices in the milk and egg mix. Place each of the slices in the pan and cook until golden brown on both sides, approximately 1 minute per side. Remove from the pan, and place on a tray or serving dish. Spread with 1 teaspoon of the guava jelly, then top it off with 1 tablespoon of the whipped cream and cream cheese. Sprinkle with cinnamon or brown sugar, if desired. If you prefer, you can use brioche or sliced bread. You can also use guava paste. 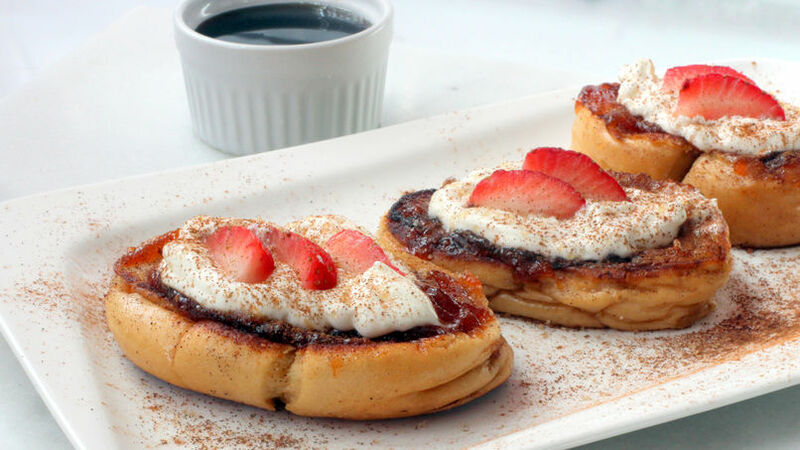 This Cuban-style French Toast or Torrejas is the perfect way to celebrate the Lenten season or Holy Week. You can serve them for brunch or with a scoop of ice cream as the perfect dessert for your family.